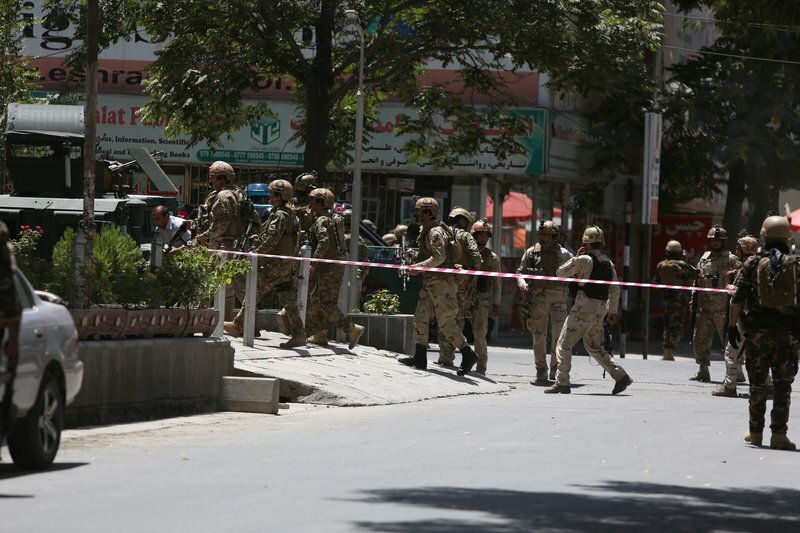 KABUL, July 31: A car bombing targeted the Iraqi Embassy in central Kabul on Monday, followed by gunfire, Afghan police officials said. There were no immediate reports of casualties. Interior Minister spokesman Najib Danish told the AP that the Iraqi diplomats were safe and had been rescued. He said it’s believed three gunmen were involved in the attack. More than an hour later, witnesses reported hearing another powerful explosion and saw black smoke billowing skyward. It wasn’t immediately clear what had caused the last explosion. “The explosion was so strong. I was so afraid,” said Maryam, a woman crying near the site of the attack said. She said she works at the nearby office of Afghanistan’s National Airline Ariana. The Iraq Embassy is located in a part of the city known as Shahr-e-Now, which lies outside the so-called “green zone” where most foreign embassies and diplomatic missions are located and which is heavily fortified with a phalanx of guards and giant cement blast walls.